“The People’s Potato supports the Concordia Greenhouse fee levy! The Potato and the Greenhouse have had a long standing relationship over the last few years exchanging info, services, volunteers, and collaborating on projects such as Vert ta ville seedling project, the City Farm School urban agriculture project, the RealiTea local tea initiative, and others! 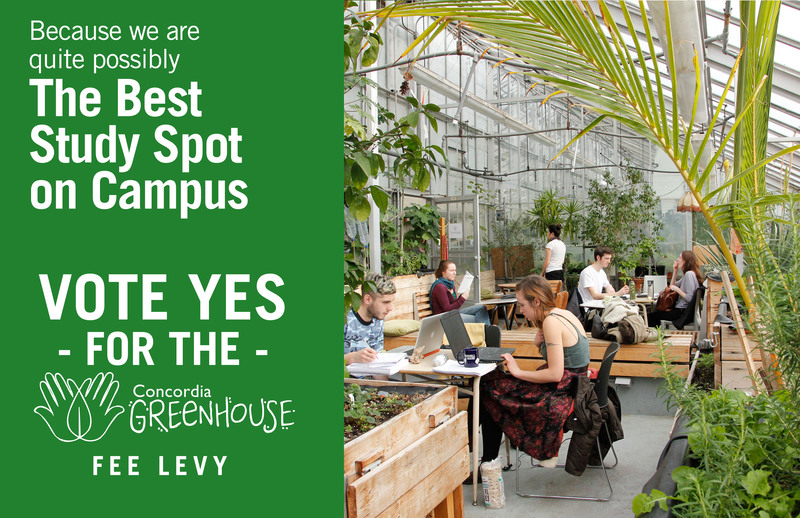 As another food security oriented group on campus, the Greenhouse fulfills a key role in this community by providing accessible services around environmental sustainability, permaculture, composting, and many others. They hold workshops, craft nights, film screenings, discussion and reading groups, which are often free to all. Our collective and board have also held meetings and events in their amazing soul-nourishing greenhouse space on the 13th floor of the Hall building.